Noteworthy: Edward Green riding boots, contrasting red under-collar, piped silk pocket square. via Unabashedly Prep – Redneck. As someone who grew up in the Polo world, it became second nature to see men in tall riding boots. I don’t think it looks femme at all. Instead, very polished. I wish more men would take the risk. IMHO this comes across as slightly more “Euro” than “Prep”, but wow, what a badass look. The jacket is great and the boots are even better. This is great. 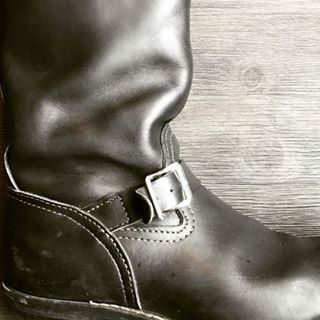 Love the boots – suede uppers on a riding boot actually make a lot of sense, better grip.